I’ve decided to continue my now twice run “Year In Beer” in which I simply list the beers I consumed in past year [see: 2011 and 2010] but will now break it down by month as opposed to one giant, year end pile with minimal annotations. 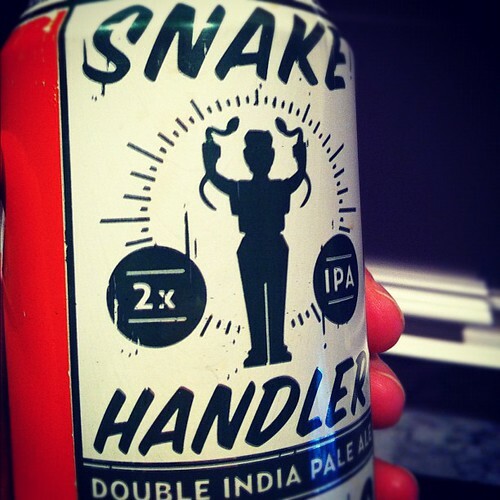 Snake Handler Double IPA by Good People Brewing Company here in beautiful Birmingham finally debuted in cans this month. The launch event was a blast, and this staple in my monthly beverage consumption can now be enjoyed while watching TV at my house. That makes me happy. Also, I was quite taken aback by Miss Fancy’s Trippel by Avondale Brewing Company (also another Birmingham brewery) which topped out at 10% ABV (yikes) and is gracing the taps at Avondale’s incredible tap room. In all, 36 beers consumed in January 2012, about half of which I’d never had before. If you have any questions, feel free to post in the comment section below. I keep track of the beers using Untappd. **Nice, cheap beer I’ve never had before. Purchased at Trader Joe’s in Atlanta. Guinness Draught (Stout) by Guinness Ltd.
Heineken Premium Light by Heineken B.V.
*Hopslam Ale by Bell’s Brewery, Inc.
Pugsley Signature Series: XXXX IPA by Shipyard Brewing Co.